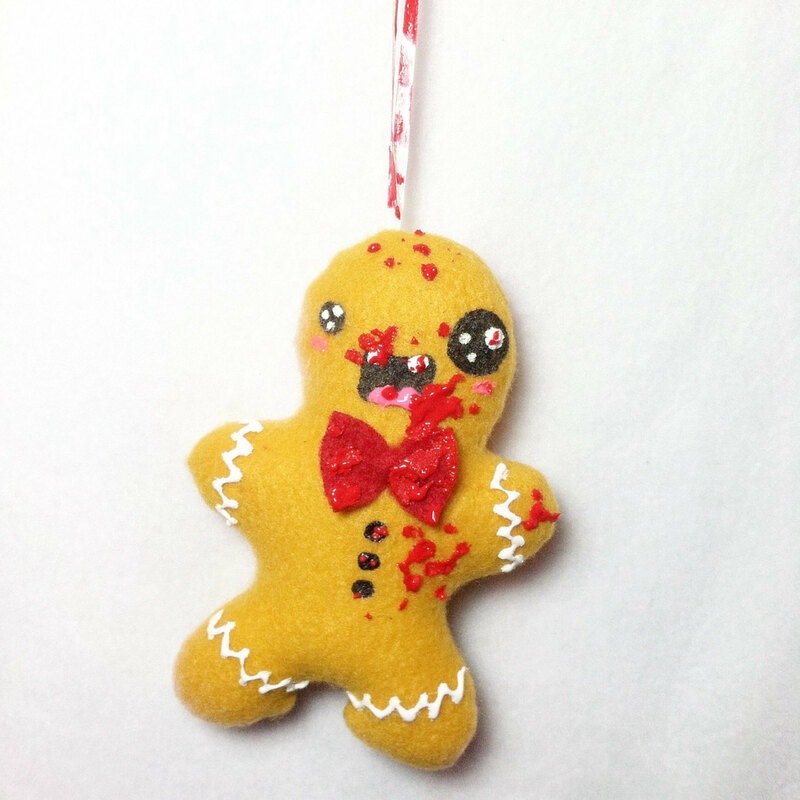 "You can run and run as fast as you can, he'll still catch you, he's the gingerbread man. Approximately 5" tall and 4" wide. Ribbon is 3.5" long."